A major milestone for the crane industry has been reached, as eight Victorian trainees begin their crane journey. Eight enthusiastic trainees started the new Victorian Trainee Pilot Program in February, ready to start their two-year journey learning all aspects of the crane industry. 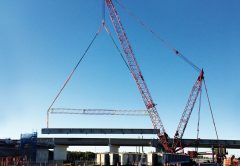 This training program is a major achievement and an example of multiple stakeholders in the crane industry working collaboratively. 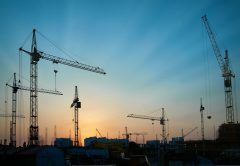 Their ability to do so is a positive response to the dire need the crane industry and construction sector will face as the large proportion of Crane Operator, Dogging and Rigging license holders retire in the next 10 to 15 years. This pilot program is also aimed at combatting the problems associated with existing High-Risk Work Licence courses which are of varying quality, with no minimum course length and minimal oversight. “There is a real concern with the way High-Risk Work Licences are handed out. 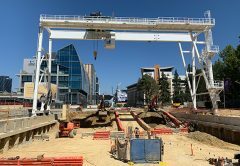 When people are certified to do such consequential work in three or four days, it is not fair on the student or the company that employs them and dilutes the skills required for the job,” Crane Traineeship Coordinator Andy Chambers said. 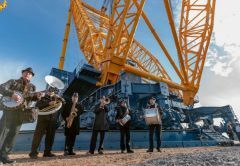 Over twenty years ago, James Cranes ran a traineeship and the six trainees that were taught and hired by James Cranes are still in high demand in the industry today. Chambers was one of the operators at James Cranes at that time and was part of the team who trained and mentored the six. All trainees will carry out their practical training with their participating crane companies and log books will ensure that experience in all classifications will be recorded over the two-year training period. It was decided by the Steering Committee that a full-time Crane Traineeship Coordinator was needed to see the traineeship begin, succeed and grow. 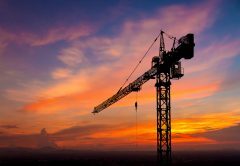 Chambers has over forty years’ experience in the crane industry and brings a wealth of experience to the role. 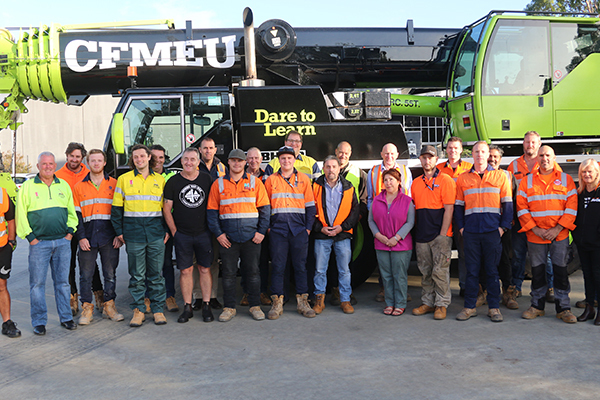 Anne Duggan, the Victorian CFMEU Training Coordinator, and Barry Kearny, Victorian CFMEU Cranes & Rigging Trainer, will be involved in the training components. The trainees will use what they learn at the training centre, to work closely supervised, in one of the nine companies that are part of the pilot program. This is a pilot program, but it is the desire of all involved today, and those who would like to be involved in the future – that this traineeship model paves the way to a sustainable program that can be built on and taught, year after year. ‘The only way is up’ sang Yazz and the Plastic Population back in the late eighties, a song that the James Cranes trainees probably remember. This milestone will hopefully commence an amazing journey for the eight individuals and a lasting model of succession planning that will ensure a safe and progressive industry.